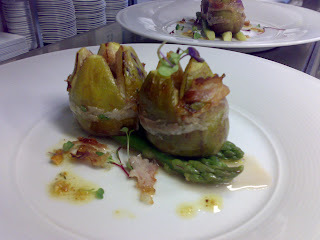 Fresh black figs, stuffed with gorgonzola dolce, wrapped in pancetta and baked. 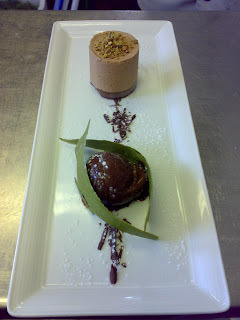 On asparagus tips and a hazelnut dressing. 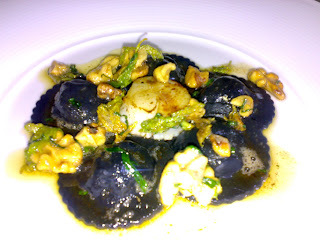 Squid ink ravioli's filled with marron and scallops, served with nut brown butter, walnuts and crispy celery leaves. These are Zippula's, a Sardinian festival dessert, but filled with cherries. 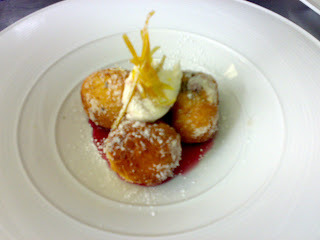 With grappa and cherry sauce and vanilla mascarpone! 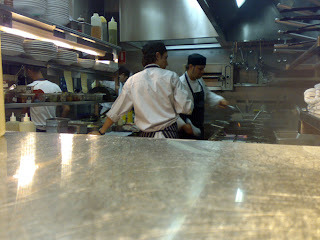 Great photos of your food - and great that you're blogging about it. Keep up the good work!